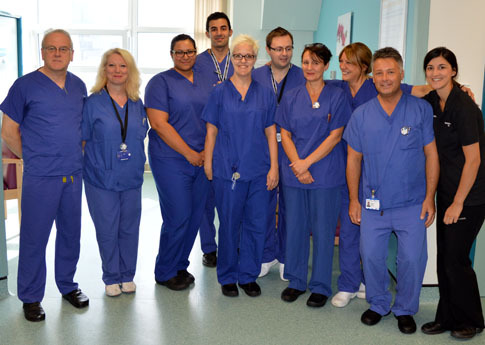 You will meet a number of different staff members during your visit to the Radiology department. The receptionist will greet you when you first arrive in the department and check that the details we have are correct, for example, your date of birth and your address. Should you not want your personal details to be read out loud at the reception area, please let the receptionist know so that this can be undertaken in a more private environment. 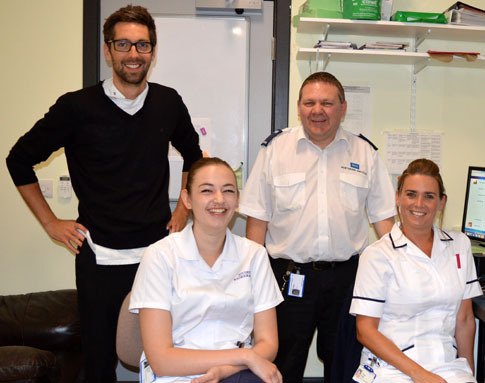 When it is your appointment time a clinical imaging support worker will collect you from reception or the waiting room and take you to the scan or x-ray room. You will be advised if you have to remove any clothes or if you require any preparation before entering the examination room — this is dependent on the type of examination you are having taken. If removing clothes is required, you will be shown to a private cubicle where you may take off your outer garments. For some examinations you will be asked to put on the hospital gown and dressing gown provided, but you may prefer to bring your own dressing gown. You should place your clothes and personal belongings either in a basket, which you will keep with you, or in a secure locker. If you do require preparation prior to your examination, you will be taken to a preparation areas and, dependent on the examination you are having taken, may be required you to drink some contrast agent, have a blood test or have a needle placed in your arm. The person who performs the scan or takes your x-ray images is called a radiographer. He or she will explain the procedure to you and show you how to position yourself on the couch. 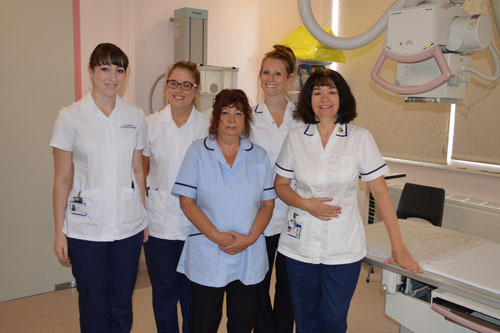 The radiographer can answer any questions or concerns. The radiographer can see you during the entire procedure and may come into the room or speak to you over an intercom whilst you are in a scanner, for example. A radiologist is a doctor who specialises in radiology and will study the images taken and make a report. He/she may discuss these findings with your doctor/surgeon. Your doctor/surgeon will suggest treatment based on the radiologists diagnosis as well as your past medical history, your current symptoms and other test results. Depending on your type of scan or examination you may not meet the radiologist on your visit.